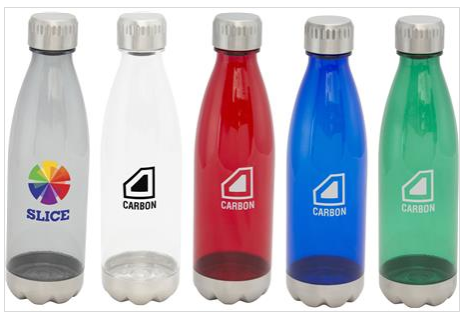 Made from BPA free Tritan, this classic shaped water bottle features a stainless steel lid and base for added style and performance. Available in translucent blue, red, green, smoke or clear. For use with cold liquid only.